Fermilab RAs Kevin Pedro and Nadja Strobbe presented a variety of CMS and ATLAS research results at the 53rd annual Recontres de Moriond conference. 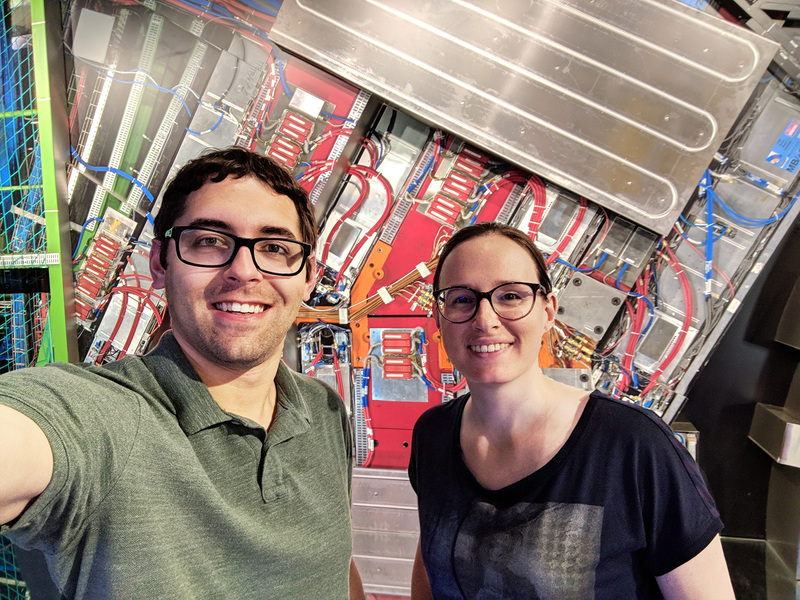 Fermilab research associates Kevin Pedro and Nadja Strobbe from the CMS group both presented talks on LHC physics result. Pedro spoke on searches for new physics with unconventional signatures at both the ATLAS and CMS experiments. The interest in unusual signatures is driven by the fact that many researchers have already searched for more commonly accepted physical processes. Looking for the unconventional opens up the possibility of unanticipated discoveries. Pedro covered long-lived particles emerging from a complex dark matter sector. The signature for this possible physics result is a jet that originates far from the interaction vertex. He also covered long-lived particles that disappear in the detector. This is a signature for a form of supersymmetry. Strobbe presented a thorough overview of searches for strong-force-produced signatures of supersymmetry. She covered both ATLAS and CMS results, covering a broad range of signatures, including the associated production of b quarks and Higgs bosons, diphotons, several stop squark analyses, and the associated production of three bottom quarks and missing transverse momentum. In total, she presented 12 distinct analyses. 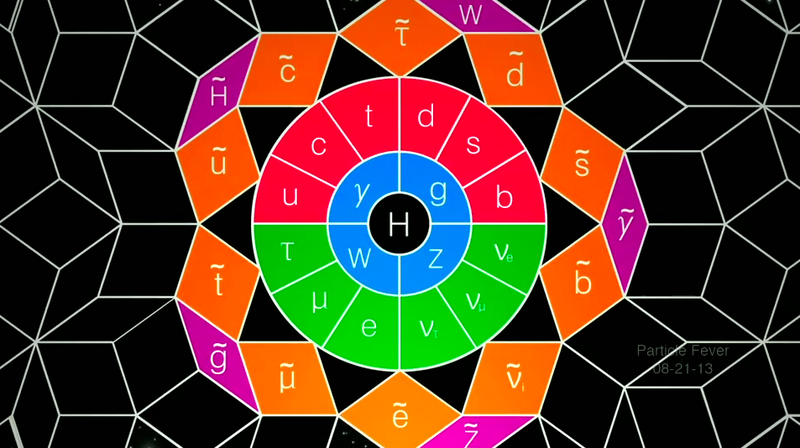 The phenomenology of strong-force-produced supersymmetry is diverse, and it provides a rich source for the possible discovery of new physics. This is Strobbe’s last Moriond presentation as a Fermilab research associate, as she has recently accepted a faculty position at the University of Minnesota, where she will be starting in the fall. Strobbe and Pedro were not the only people associated with the LHC Physics Center presenting or involved at Moriond. Fermilab Senior Scientist Boaz Klima has long been a member of the organizing committee. Meng Xiao (Johns Hopkins) and Greg Landsberg (Brown) also presented. More broadly, many interesting physics topics were covered at the conference. The LHCb experiment announced the discovery of new pentaquarks containing charm quarks. They also reported that a peak in the data that was previously thought to be a single pentaquark was actually two distinct particles. Studies of mesons containing both bottom and charm quarks were very well-represented, with ATLAS, CMS and LHCb all making presentations. In the first week of the Moriond conference, both ATLAS and LHCb announced studies in the matter-antimatter asymmetry in decays of mesons containing both bottom and strange quarks. And in an example of very quick inter-collaboration cooperation, the experiments presented a combined result in the second week. While the LHC is best known for colliding two beams of protons (studies of which were well represented at Moriond), the LHC also collides lead ions to study the behavior of superhot quark matter – what is called quark-gluon plasma. ALICE presented studies of charmed mesons called J/psi, which showed that charm quarks are affected in quark-gluon plasmas, just like lighter quarks. 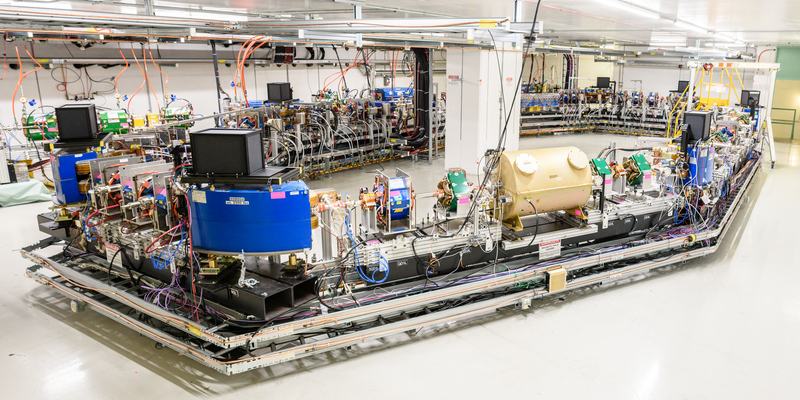 The ALICE experiment presented data gathered in a special run of proton-proton collisions at an energy unusual for the LHC an observation of charmed baryons in LHC collisions. These particles occur more often in proton-proton collisions than in electron-positron ones. The Moriond conference is a fascinating one. It is small and cozy and allows for conversations and collaboration between researchers, with a storied history of over half a century. In its 53rd year, researchers are showing that its second half century will be just as exciting. Don Lincoln is a Fermilab scientist on the CMS experiment. Fermi National Accelerator Laboratory (Fermilab), located just outside Batavia, Illinois, near Chicago, is a US Department of Energy national laboratory specializing in high-energy particle physics. Fermilab is America’s premier laboratory for particle physics and accelerator research, funded by the U.S. Department of Energy. Thousands of scientists from universities and laboratories around the world collaborate at Fermilab on experiments at the frontiers of discovery. Fritz Zwicky discovered Dark Matter when observing the movement of the Coma Cluster. But Vera Rubin, Vera Rubin a Woman in STEM denied the Nobel, did most of the work on Dark Matter. Despite the abundance of dark matter in the universe, scientists have not yet been able to directly observe it. They think that’s because, other than through the force of gravity, dark matter rarely interacts with normal matter. Beams of particles are brought into collision at four different points along the Large Hadron Collider. The four large detectors—ATLAS, ALICE, CMS and LHCb—are built around those collision points. Artwork by Sandbox Studio, Chicago with Ana Kova. During collisions, it could be that portal particles (labeled A’) are escaping detection by traveling down the beam pipe. 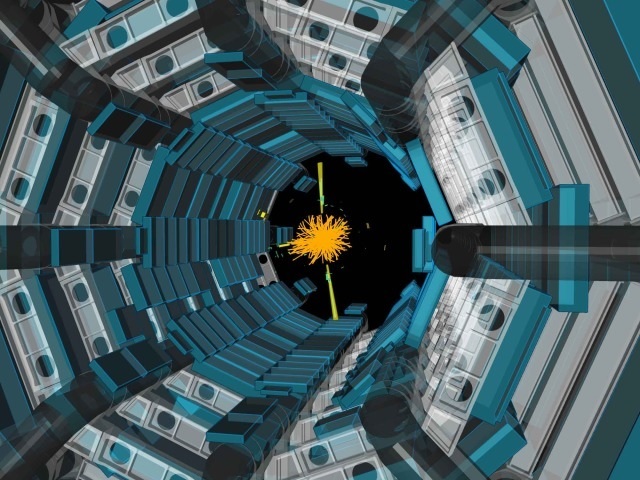 The FASER collaboration discovered a disused tunnel, called TI12, in just the right location to intercept portal particles that could be escaping from collisions in the ATLAS detector. Artwork by Sandbox Studio, Chicago with Ana Kova. The portal particles would continue traveling straight, unaffected by the magnets that bend beams of particles around the ring of the LHC. They would travel through the earth and interact within the FASER detector. Artwork by Sandbox Studio, Chicago with Ana Kova. 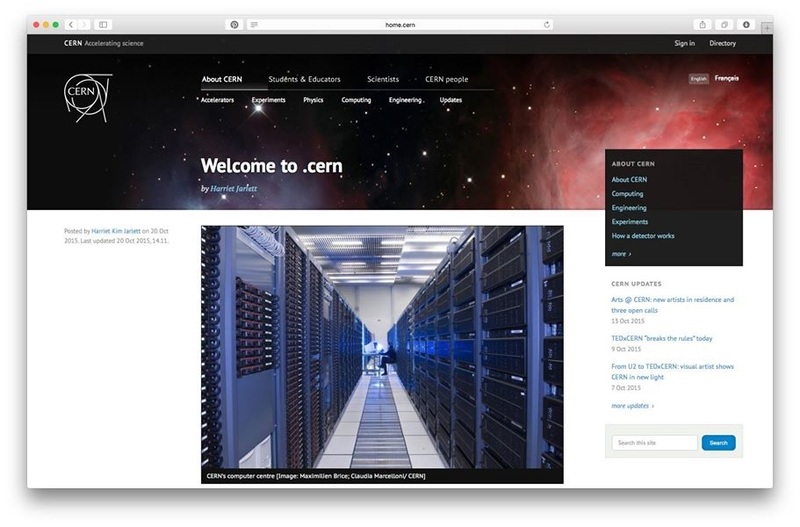 CERN is launching a new scientific education and outreach centre. 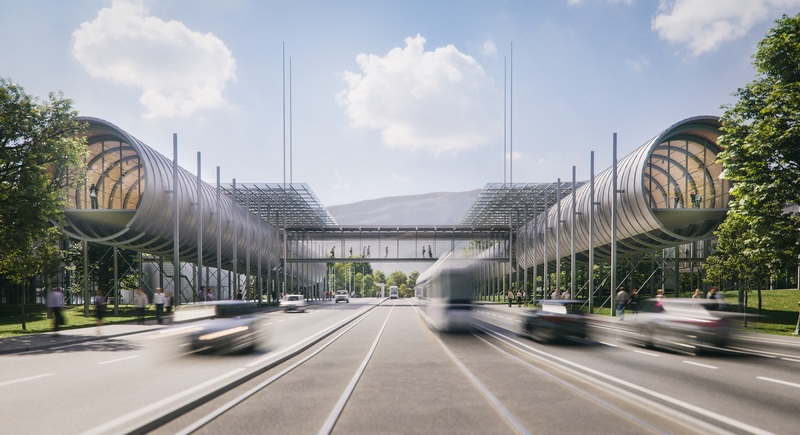 The building will be designed by world-renowned architects, Renzo Piano Building Workshop and funded through external donations, with the leading contribution coming from FCA Foundation. Pentaquarks, charmed beauty particles and more from the Moriond conference’s second week, which is devoted to studies of the strong nuclear force. Notwithstanding significant progress over the past two decades, researchers’ understanding of the QCD processes that make up hadrons is incomplete. One way to try and understand them is through the study of the little-known charmed beauty (Bc) particle family, which consists of hadrons made up of a beauty quark and a charm antiquark (or vice-versa). 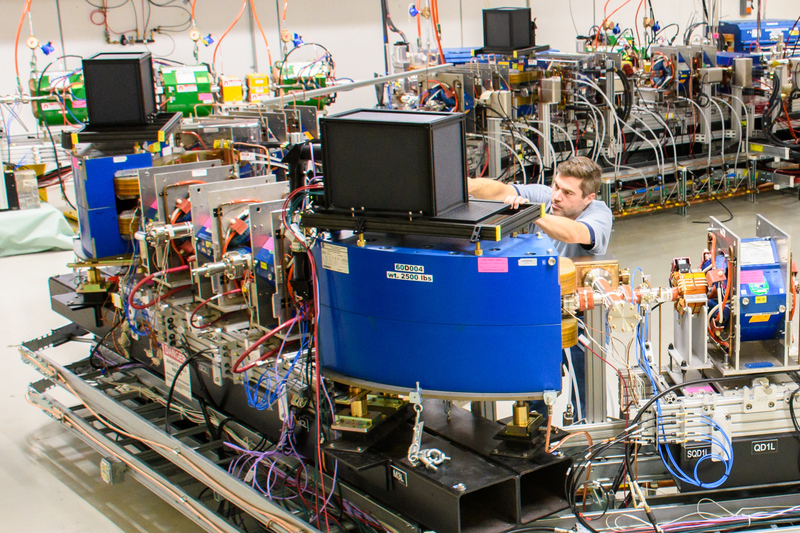 In 2014, using data from the LHC’s first proton–proton collision run, the ATLAS collaboration reported [Physical Review Letters]the observation of a Bc particle called Bc(2S). A very recent analysis by the CMS collaboration of the full LHC sample from the second run, published today in Physical Review Letters and presented at the meeting, has unambiguously observed a two-peak feature in this dataset that corresponds to Bc(2S) and to another Bc particle called Bc*(2S). Meanwhile, the LHCb team, which in 2017 reported no evidence for Bc(2S) in its 2012 data, has now analysed the full 2011–2018 data sample and has also observed the Bc(2S) and Bc*(2S), lending support to the CMS result. The latest experimental data provide more stringent tests of the Standard Model and of rare phenomena of the microworld. For this reason, physicists welcome any measurement that shows discrepancies with the Standard Model, as these give hints of new particles and new forces – of new physics, in other words. At the conference, the ATLAS and CMS collaborations have presented new results based on up to 140fb–1 of proton-proton collision data collected during Run 2 of the Large Hadron Collider (LHC) from 2015 to 2018. Many of these analyses benefited from novel machine-learning techniques used to extract data from background processes. Since the discovery of the Higgs boson in 2012, ATLAS and CMS physicists have made significant progress in understanding its properties, how it is formed and how it interacts with other known particles. Thanks to the large quantity of Higgs bosons produced in the collisions of Run 2, the collaborations were able to measure most of the Higgs boson’s main production and decay modes with a statistical significance far exceeding five standard deviations. In addition, many searches for new, additional Higgs bosons have been presented. From a combination of all Higgs boson measurements, ATLAS obtained new constraints on the Higgs self-coupling. CMS has presented updated results on the Higgs decay to two Z bosons and has also derived new information on the strength of the interaction between Higgs bosons and top quarks. This interaction is measured in two ways, using top quark pairs and using a rare process in which four top quarks are produced. The probability of four top quarks being produced at the LHC is about a factor of ten less likely than the production of Higgs bosons together with two top quarks, and about a factor of ten thousand less likely than the production of just a top quark pair. 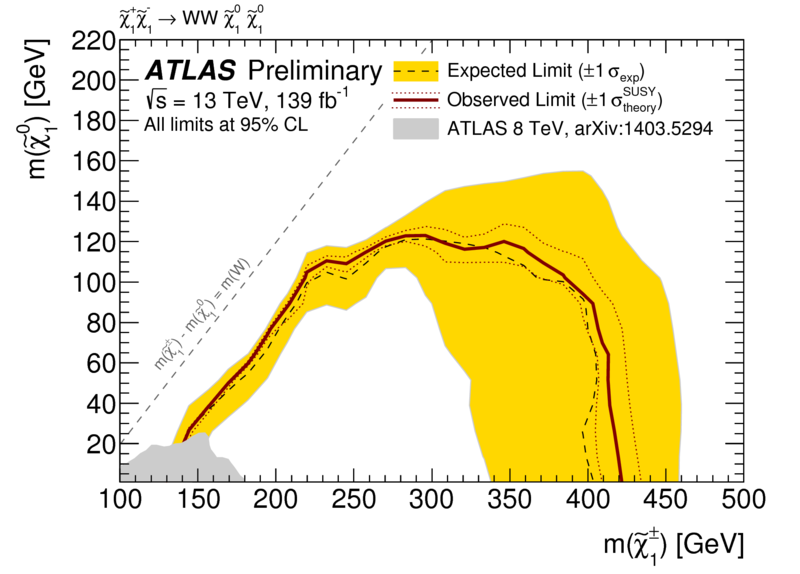 Finally, using the results of lead-ion collisions taken in 2018, the ATLAS collaboration has been able to clearly observe a very rare phenomenon in which two photons – particles of light – interact, producing another pair of photons, with a significance of over 8 standard deviations. This process was among the earliest predictions of quantum electrodynamics (QED), the quantum theory of electromagnetism, and is forbidden by Maxwell’s classical theory of electrodynamics.